Manchester United have been eliminated from the UEFA Champions League after losing 4-0 on aggregate to FC Barcelona. Manchester United have officially been eliminated from the UEFA Champions League at the quarterfinal stage after losing 4-0 on aggregate to FC Barcelona. After falling 1-0 in the first leg at Old Trafford, the Red Devils knew they had a tough test ahead of them in leg two. However, Barca were simply too good for a United team who now realize they are in desperate need of reinforcements in the summer. United made an unbelievably hot start to the contest, and Marcus Rashford found himself through on goal in the opening minute. He wasn’t able to convert the golden opportunity, toe-poking a shot off the crossbar instead. Scott McTominay was almost put through soon after, but his poor first touch allowed for the Barca defence to recover. United were made to pay for their inefficiencies in the final third as Barca grabbed two goals through Lionel Messi in quick succession to put the tie to bed. 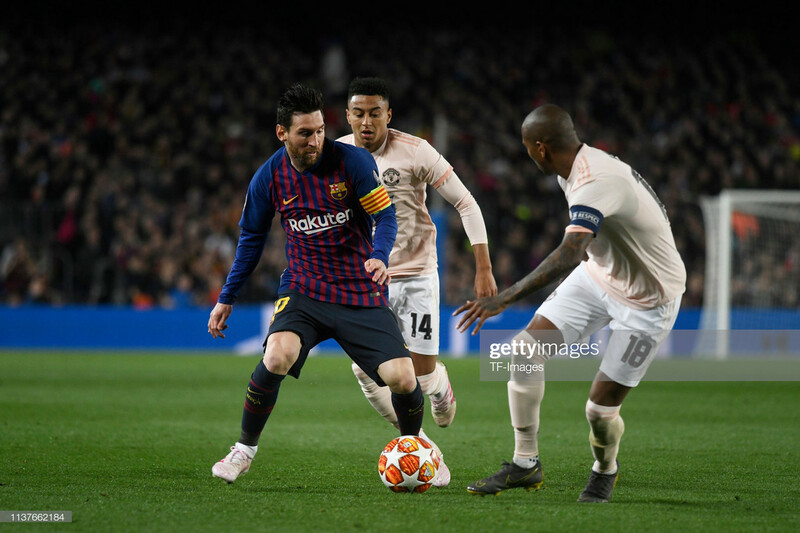 The first came after a turnover from Ashley Young gave the ball to Messi, who quickly turned and nutmegged Fred before dribbling toward the top of the box. It was systematic from there as the Argentine simply opened up his hips and curled a finish past David De Gea into the far corner. The second was far less glamorous as Barca benefited from a rare De Gea error. It was Messi once again who drove the ball forward and unleashed a shot, but it was a much tamer effort on his weaker foot that barely made its way on goal. However, De Gea spilled it, and the ball trickled past him into the back of the net. Barca put an exclamation point on the tie at the hour mark as Philippe Coutinho smashed a long shot into the back of the United net. It was the Brazilian at his very best as fans have gotten used to him scoring goals from a similar distance. He’s not had the best time at Barca, but that goal could revitalize his career in Spain. If not, the door could be open for United to make a move for him. In case anyone needed reminding, this United team simply isn’t good enough at the highest level of European football. It was men against boys against Barca, and the Spanish side could have scored as many goals as they wanted to on the night. Man United had moments of promise at points in the two legs, but they were never able to capitalize when they were on top. Barcelona did, and that made all the difference. It’s been a bad few weeks for Ashley Young, and he was at his worst against Barcelona. The first goal was all his making as the defender failed to clear the ball on a number of occasions and ended up losing it to Lionel Messi, who did the rest himself. He was caught in possession on several occasions, and he doesn’t even offer much going forward as he’s seemingly forgotten how to cross the ball. Young is nowhere near good enough to start for a club like United, and it’s time for him to be sold in the upcoming transfer window. Now, the only thing left for United to worry about is the league and finishing in the top four to earn Champions League qualification for next season. In a four team race for two spots, it will be a tight affair up until the last weekend of the season. They sit two points behind fourth-place Arsenal and fifth place Chelsea, but the Blues have played an extra game, while Spurs are three points ahead in third. None of the teams have shown consistency in recent weeks, so each is likely to drop plenty of points before the campaign comes to a close. United simply need to return to the Champions League, and qualifying for Europe’s premier cup competition will be the only way the Red Devils can convince certain big name players to come over in the summer.